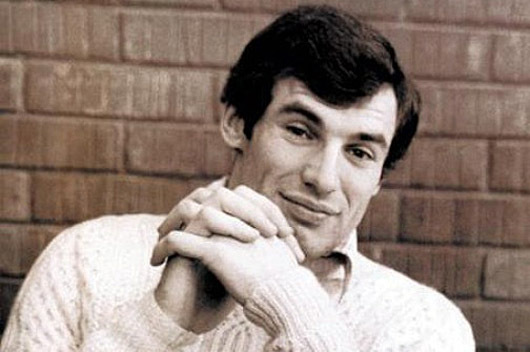 Krešimir Ćosić, a member of The Church of Jesus Christ of Latter-day Saints, was born on 26 November 1948 in Zagreb, the capital and the largest city of the Republic of Croatia. He is the son of son of Ante and Darinka Ćosić. He was raised in Zadar, Yugoslavia, now Croatia, a city located on the Adriatic Sea which is a historical center of Dalmatia, and the seat of the Roman Catholic Archdiocese of Zadar. Zadar is also known as the birthplace of Croatian basketball which was begun in 1930. Ćosić began playing basketball at the age of 9, and soon became a sports celebrity. In 1965, at the age of 16, he began his basketball career, playing for KK Zadar, a Croatian professional basketball team from the city of Zadar playing in the A-1 Liga. He eventually became a professional basketball player, representing Yugoslavia internationally, and leading his hometown team to the Yugoslavian national championship. Somehow Brigham Young University Head Coach Stan Watts persuaded the 6-11 player (with a shoe size of 17) to leave communist Yugoslavia and come play for the Cougars in Provo, Utah. He played center for the team from 1971 to 1973. While in college, he averaged 19.1 points per game and 11.6 rebounds per game. For a time, he was the school’s all-time leading scorer with 1,512 points. His style was notably unorthodox but crowd-pleasing. One writer even described him as a giraffe in sneakers. After leaving Brigham Young University, he was drafted by the National Basketball Association (NBA) several times and once by the American Basketball Association (ABA).In April 1972 he was drafted by the Portland Trail Blazers as the number 1 pick in the 10th round. In 1973 he was drafted by the Los Angeles Lakers as the number 15 pick in the 15th round. He became the first foreign player to earn All-American honors from the United Press International in 1972 and 1973. 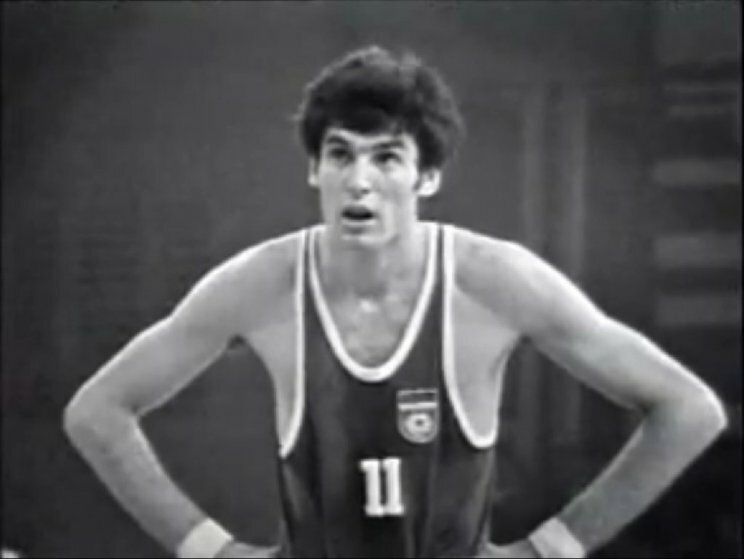 Ćosić was also drafted by the American Basketball Association’s (ABA) Carolina Cougars in 1973 and the Boston Celtics in 1976. However, he chose to return home to Yugoslavia, where he was a national hero as a player and later, as a coach. Ćosić was also an Olympian. He played in the 1968, 1972, 1976, and 1980 Olympic Games. He led Yugoslavia to a silver medal in the 1968 Olympic Games in Mexico, and a gold medal in the 1980 Olympic Games in Moscow. In 1970 and in 1978 he led Yugoslavia to win a pair of World Championship gold medals. An Italian team was so impressed by his performance in the European championships that it offered him a $200,000, three-year contract, but he turned it down, preferring instead to remain in Zadar. Following his playing days, he turned to coaching and led the former Yugoslav team to a silver medal in the 1988 Olympics in Seoul Korea, and two bronze medals at the 1986 FIBA World Championship and the 1987 Euro Basket. In 1991, FIBA (French: Fédération Internationale de Basket-ball) named Krešimir Ćosić as one of FIBA’s 50 Greatest Players. During his lifetime, Krešimir Ćosić was also a notable Church leader and missionary of The Church of Jesus Christ of Latter-day Saints. When he first arrived in Provo, Utah, he recalled a dream from years earlier in which he envisioned the mountains east of Provo, and he felt that the dream meant he was destined to play for BYU. His new colleagues informed him that dreams can sometimes provide spiritual guidance sparking an interest in him to learn more about this new Christian faith. One day he showed up at the office door of BYU professor Hugh Nibley who, he had been told, understood some of the spiritual purposes of dreams. 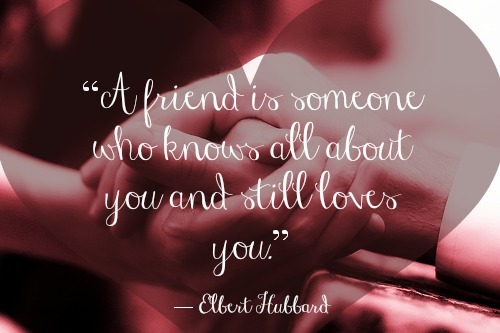 The two men became close friends. One day Ćosić said, “There are a hundred reasons why I should not join the Church, and only one reason why I should—because it is true.”  So, in November 1971, Krešimir Ćosić made the decision to be baptized a member of The Church of Jesus Christ of Latter-day Saints. To deflect public attention from his fans, the star player was baptized by Nibley in a private service in the basement of the Tabernacle on Temple Square in November 1971 (the font has since been removed). The sisters who worked at the Tabernacle baptistery were shocked when they saw him stoop through the front door. Days earlier, they had felt inspired to stitch together an extra-long baptismal outfit, wondering the entire time at the remote prospect of anyone ever wearing such long-legged clothing. But the white clothing fit Ćosić perfectly. From his baptism until he completed his athletic career in the spring of 1973, he joined the Nibley family each week for Family Home Evening. He also became a close friend of the Truman and Ann Madsen family. “Boss,” as Ćosić often referred to Madsen, became both his friend and mentor. During the time that he was coaching the Yugoslavian national team and leading them to victory, he was busy on an errand from the Lord actively spreading the gospel in his native land as the LDS presiding priesthood holder in post-communist Croatia. In his spare time, the national sports star translated the Book of Mormon (Another Testament of Jesus Christ) (Croatian: Mormonova knjiga (Drugi zavjet Isusa Krista)) and Doctrine and Covenants (Croatian: Nauk i savezi) into Croatian. Krešimir Ćosić died at the Johns Hopkins Hospital in Baltimore, Maryland on 25 May 1995 after a year-long battle with a form of cancer known as non-Hodgkin’s lymphoma. He was 46 years of age. He was beloved in his native Croatia, a country in former Yugoslavia, as a national hero. For his contributions as sportsman and statesman, Krešimir Ćosić was honored on 25 May 2005—the 10 year anniversary of his death from cancer—by the city of Zagreb, his birthplace. A major public square, “ Krešimir Ćosić Square,” is located adjacent to the country’s main sports complex. It was named in his honor during a ceremony that included members of the Croatian sports community, as well as some of his family and friends, and Church leaders, including Elder Bruce C. Hafen of the Seventy. 1. In 1996 he became the third international player ever elected to the Basketball Hall of Fame in Springfield, Massachusetts, the birthplace of basketball. 3. In 2007 he was enshrined in the FIBA Hall of Fame. 4. The Croatian landmark formerly known as Califfi Castle now carries the name of this basketball superstar and Churchman. 5. There is a square in Zagreb, Croatia that bears his name (Trg Krešimira Ćosića). 6. KK Zadar home arena is named after him. The name, Krešimir Ćosić, is still highly respected in the former Yugoslavian countries of Croatia, Serbia, Montenegro, Bosnia, Herzegovina and Slovenia. He is also recognized as a devoted father, husband, humanitarian and Christian of the highest moral character. 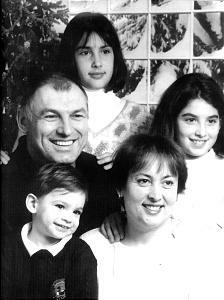 He and Ljerka raised three children: Iva, Ana, who graduated from BYU, and Krešimir.